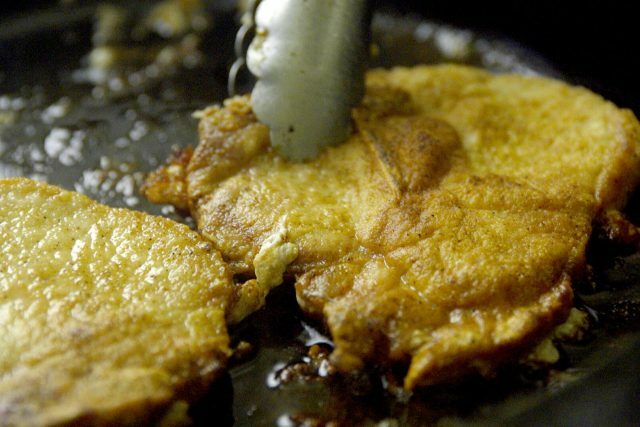 Who doesn’t hope for a new year filled with good fortune and prosperity? 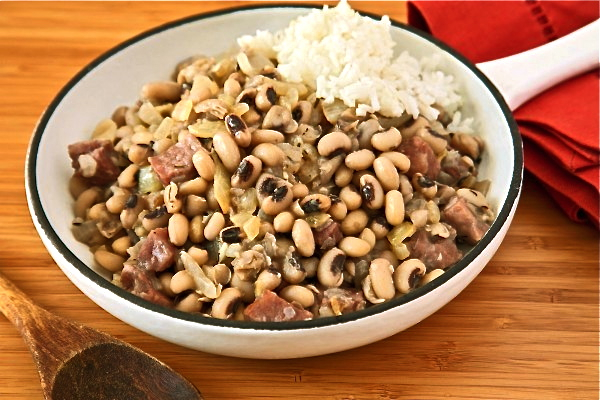 In most cultures, foods prepared for New Year’s Day are said to bring good luck. 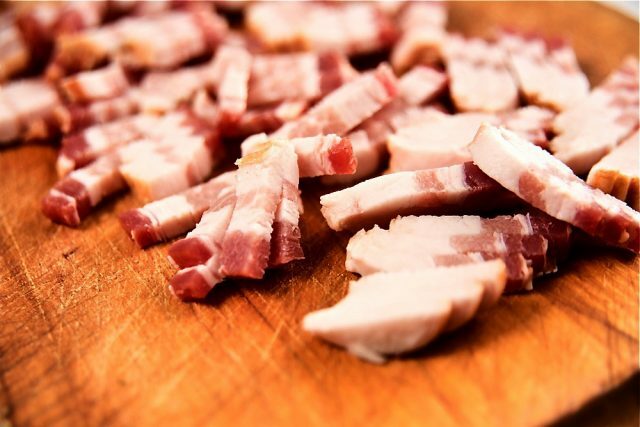 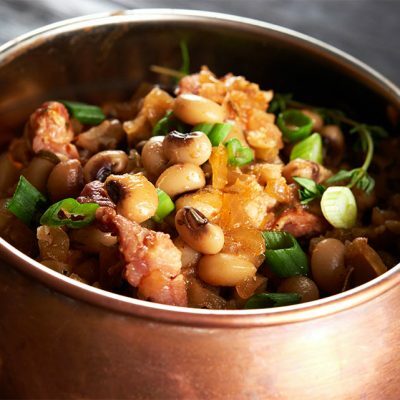 Every culture has variations, but the recurring themes are: beans – resembling coins or closed circles signifying the end of one year and prosperity in the next; greens – representing wealth; and pork products because pigs root forward as they eat – symbolizing a positive direction in the upcoming year. 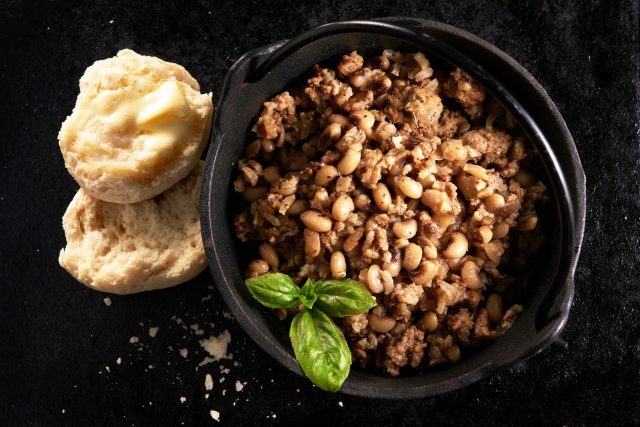 African Americans in the 18th and 19th centuries made one of the most enduring contributions to the modern holiday. 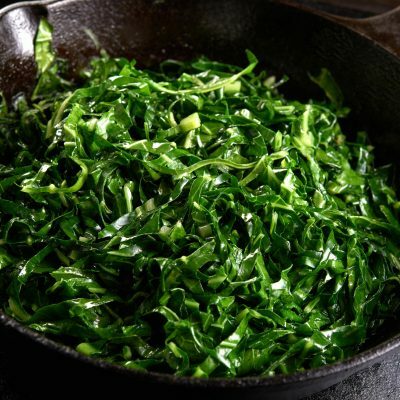 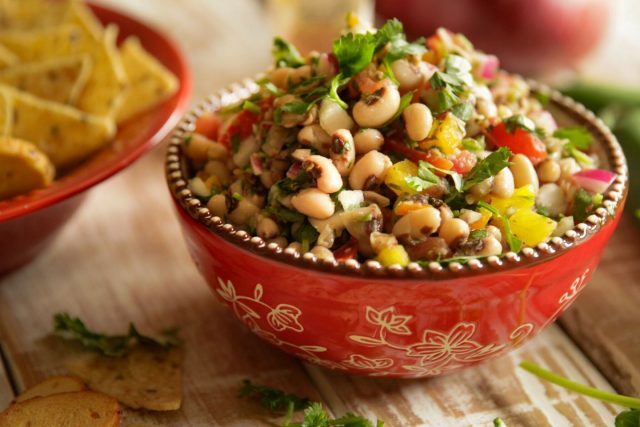 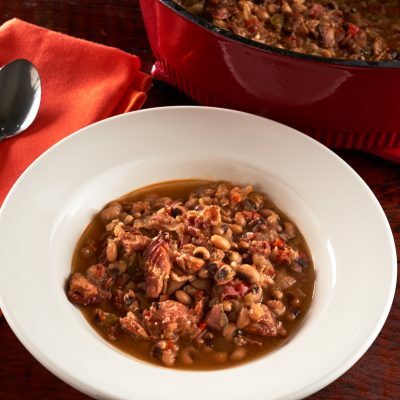 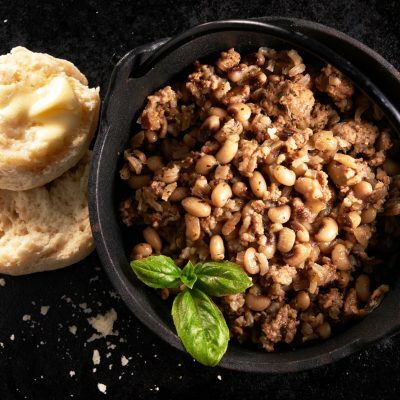 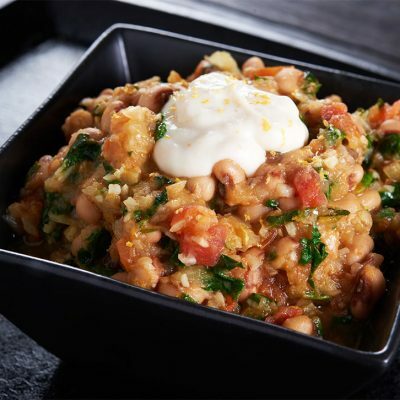 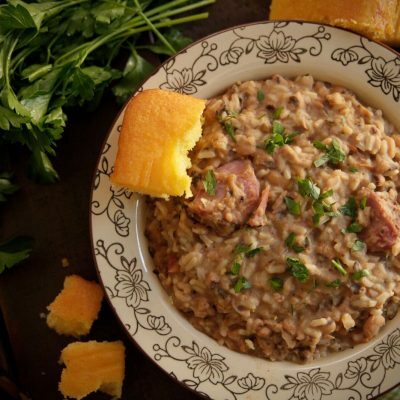 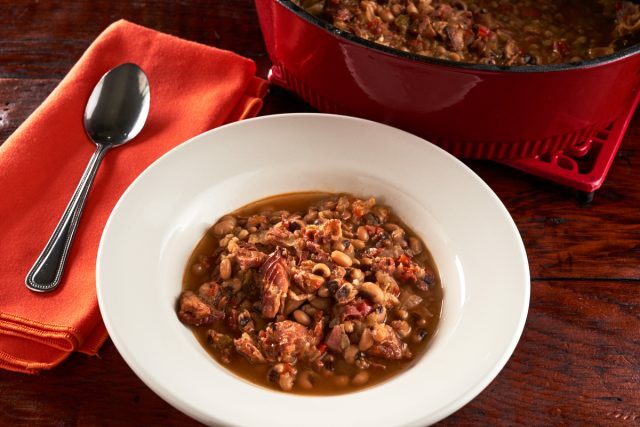 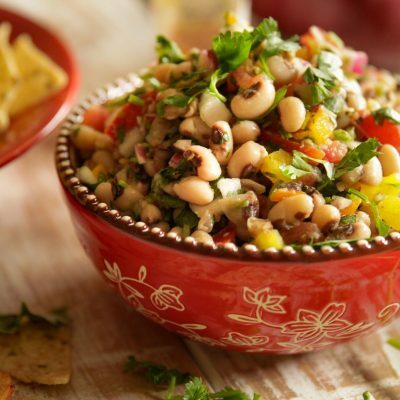 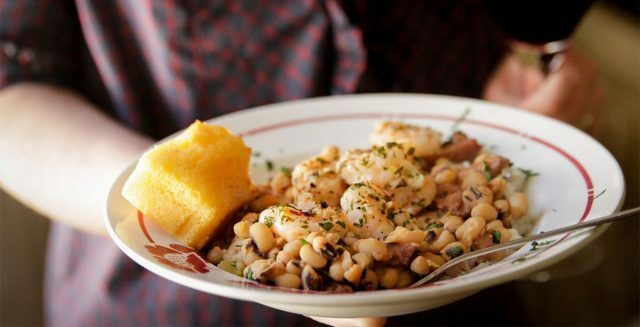 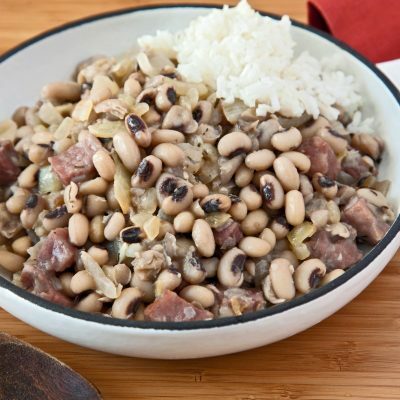 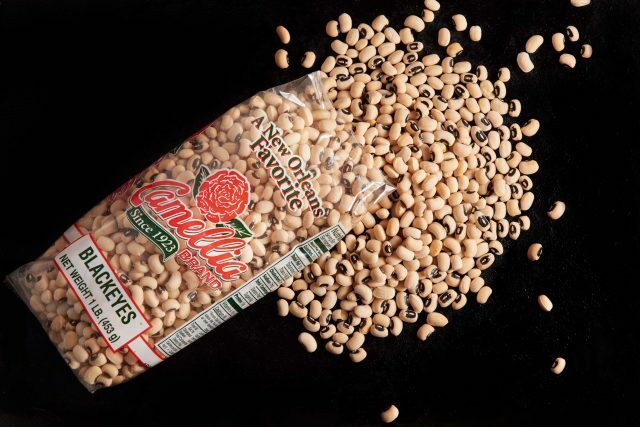 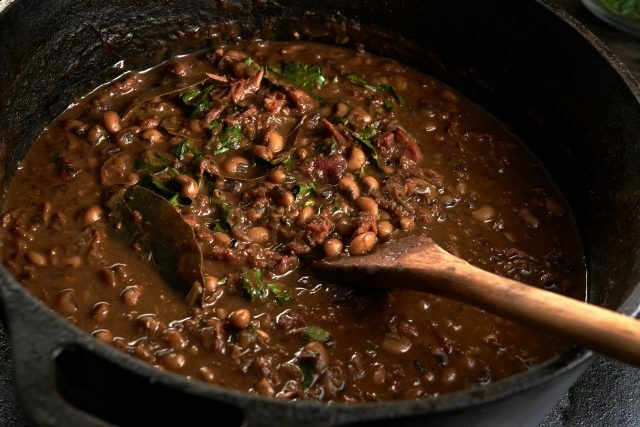 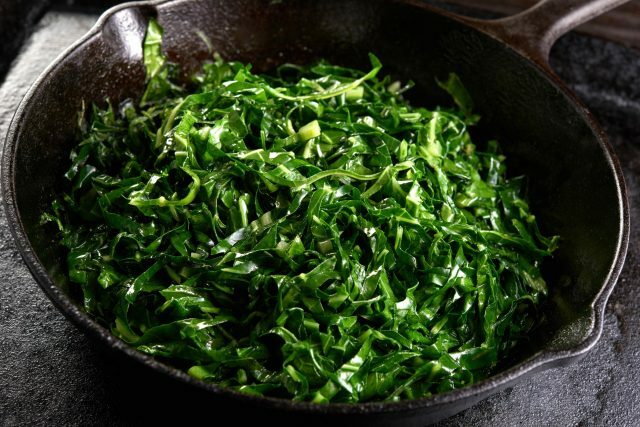 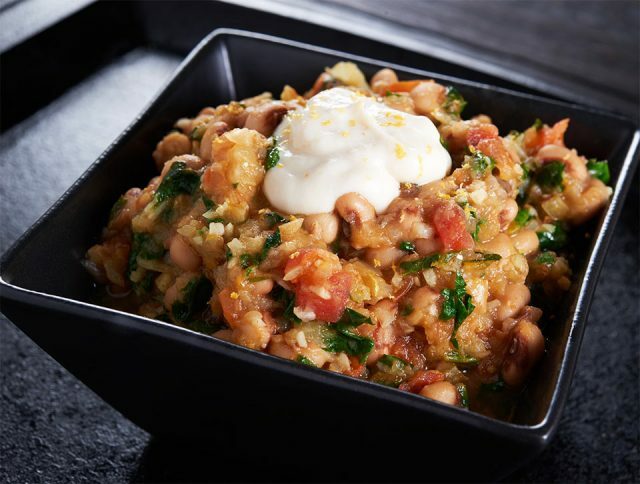 Starting in the Carolinas – but later extending throughout the South – Hoppin’ John (blackeye peas and rice) and greens (collard, mustard, or turnip,) became traditional New Year’s fare. 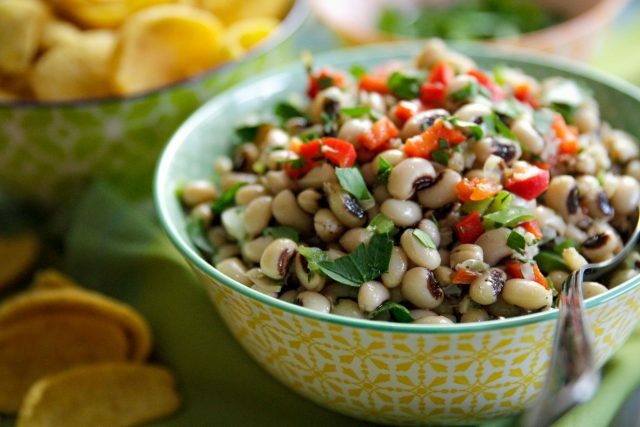 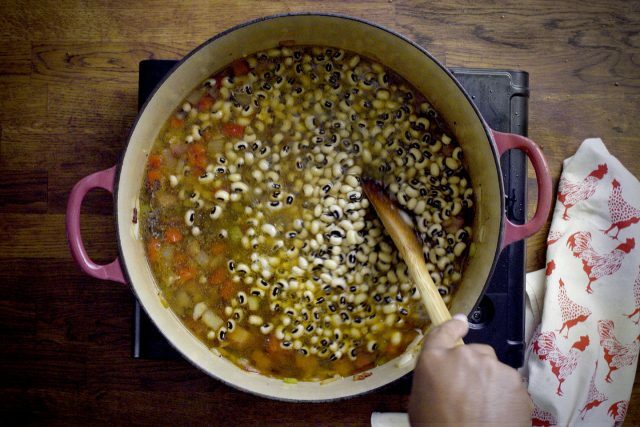 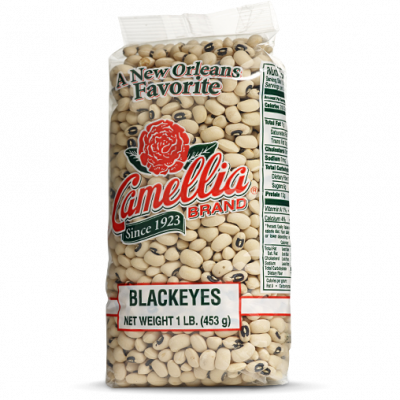 Blackeye peas to bring luck, and greens to represent money and prosperity. 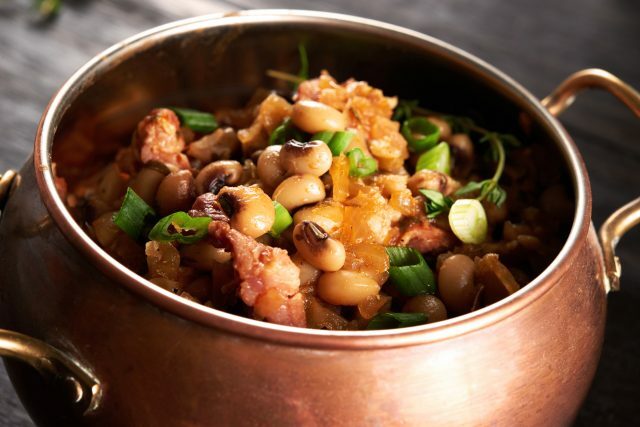 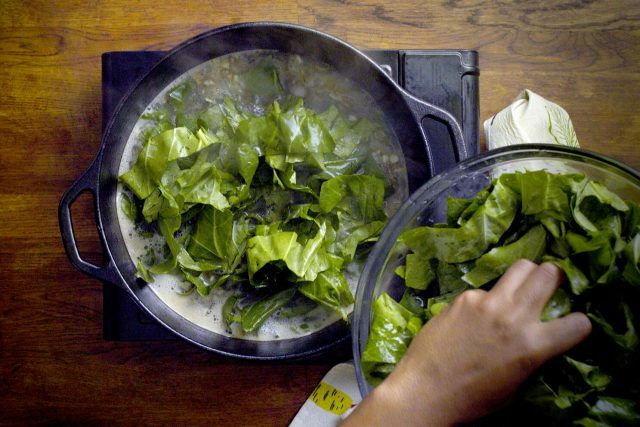 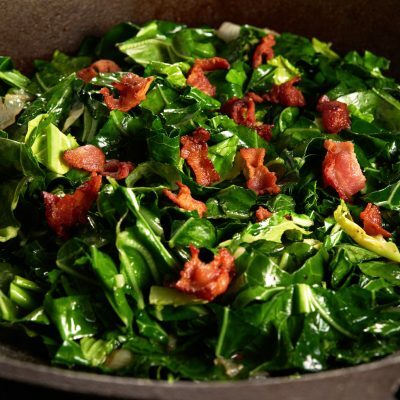 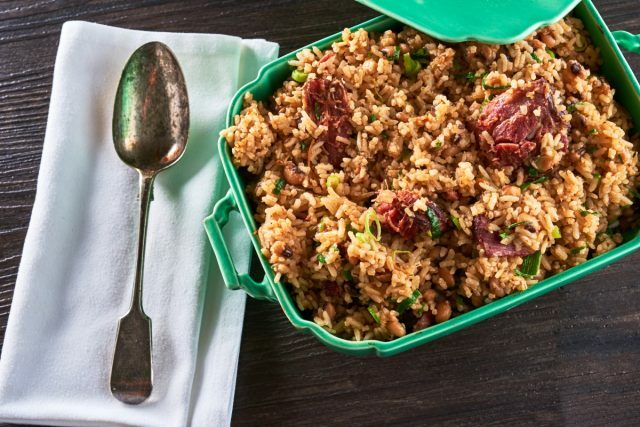 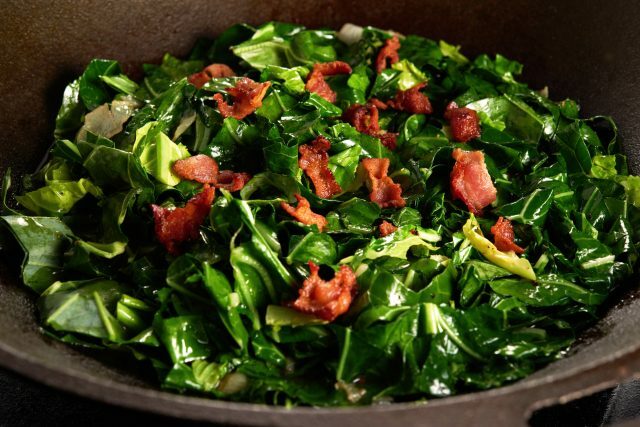 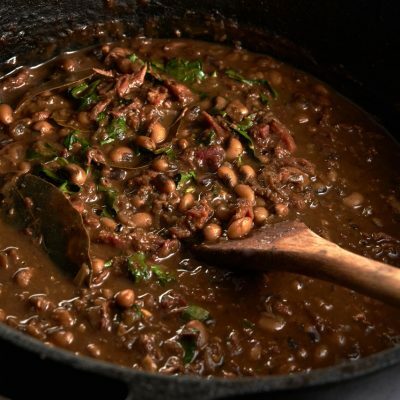 The tradition of using ham, salt pork, or sausage used to flavor the greens and the blackeye peas started as a frugal way to use less popular cuts from the pig, but the smoky flavor and richness they impart have become an essential and beloved flavor in the dishes.